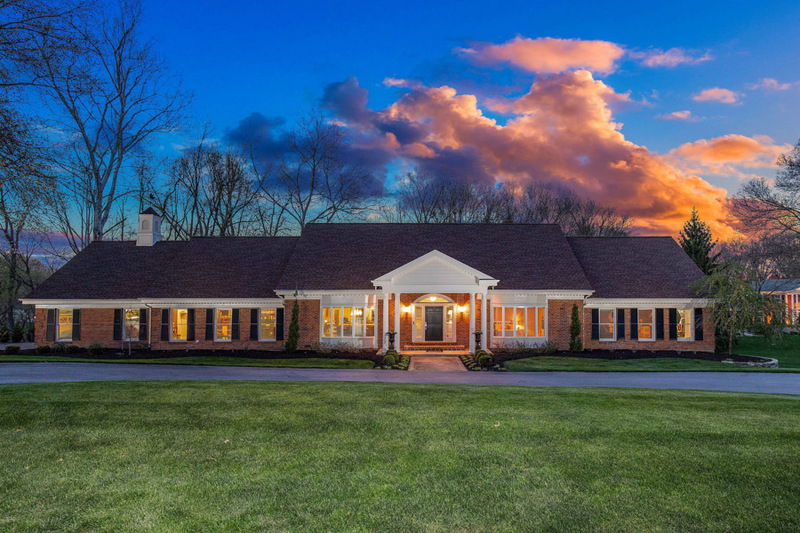 Located on a double lot of 3.96 acres in the prestigious Muirfield Lane is this perfect, totally rehabbed home. Private backyard with a pool, firepit and gazebo. The main level is exactly what families are looking for- open floor plan with the kitchen joining to the family room and dining room. Dark hardwood floors throughout. The kitchen features custom cabinets, granite counters, center island with breakfast bar, 6-burner gas stove and entertainment island with 2 beer taps, ice maker & wine fridge. Vaulted ceiling & fireplace. Walk-out to deck overlooking the large pool. Lovely master suite with walk-in closet with built-ins and luxurious bathroom with oversized dual head shower, two vanities & heated floor. The main level has two more bedrooms & an office. Large main floor laundry room with quartz counters. Walk-out lower level with recreation room, fireplace, bar, pool table room, media room, exercise area, 2 more bedrooms & 2 full baths. 3 car garage. Living Area: 7,500 Sq. Ft.
Vote For the CWE Grain Silo Project!